Objectives:In the present work, we survey the prevalence of antibiotic resistance among U. urealyticum isolates from Gonabad (Northeast of Iran). We also include susceptibility testing for U.urealyticumto different antibiotics. 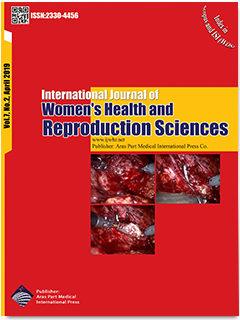 Materials and Methods:In this research,A total of 95 vaginal swab(VS) specimens were aseptically collected from women who admitted to the Hospital during a period of 12 months. Culture and subsequently antibiotic susceptibility testingwere performed according to Mycoplasma IST 2 kit. Reading and interpretation of the cupules weredone in 24 and 48 hours, according to kit guidelines. Results:In the studied patients, 38 (40.4 %) were single positive for U. urealyticum, 12 (12.8 %) were single positive for M. hominis, and 11 (11.7%) were dually positive for ;U. urealyticum and M. hominis. The positive rates of genital U. urealyticum in the symptomatic and asymptomatic groups were 86.8% and 13.2%, respectively. The highest positive rate (42.1%) was found in the 26 to 30 year age group. Tetracycline and doxycycline were the most effective antibiotics against isolates. One strain was Multi-drug resistant (MDR). The U. urealyticumresistance rates were more than 39% to erythromycin, and pristinamycin, and more than 55% to ciprofloxacin. All of the U. urealyticum isolates with <104 CFU/specimenwere sensitive to the all tested drugs. Conclusion:Although the emerging resistance to tetracyclines among our isolates is alarming, but these datashow that the standard therapeutic regimen for urogenital infections caused byUreaplasma urealyticum is doxycycline, tetracycline, and clarithromycin, leading to better outcomes in most respective patients.